nutseynuts: Xiaomi Yi camera hardware mods. Aluminium case. Xiaomi Yi camera hardware mods. Aluminium case. 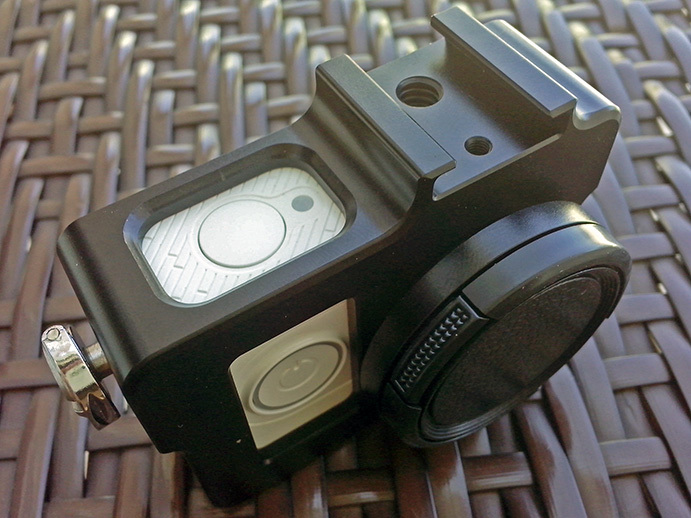 I got aluminium case with UV-protection filter kit from ebay. It looks great due to semi-gloss black anodized aluminium coating. Very easy to install camera into it. Protection of camera lens and body. Shoe mount on top - great for dashcam use. 5 1/4" mount holes on the sides. It gives better grip for the camera. Kit filter shows severe vignetting. Shoe mount and 1/4" holes on the upper and lower sides are not aligned with optical axis of the lens. Suggested camera fixation method doesn't provide a solid result. Mic hole of the camera is blocked by the frame. It seems like the manufacturer of the case uses preforms for one of GoPro camera. That's why there is a mismatch of mount and mic holes. So I recommend not to rush off with buying of this case and wait until some design adjustments to fit Xiaomi Yi will be made.